Let’s Enjoy Japans Autumn and Local Food & Sake!! 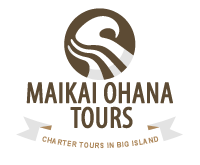 Maikai Ohana Tours (d.b.a of Aikane InterPacific Corporation) acts only as an agent for the owners and contractors providing means of transportation or other services where offered or provided. The issuance and acceptance of such tickets and/or vouchers shall be deemed to consent the further conditions that Maikai Ohana Tours shall not or become liable or responsible in any way in connection with such means of transportation or other services, or for any loss, injury or damage to or in respect of any person or property however arising, nor be responsible for damages arising from the default of a tour operator/carrier, lost/damaged luggage, trip cancellation, bad weather, natural disaster or other acts of God. We reserve the right to alter the tour schedule and itinerary given in this brochure and our website. We reserve the right to accept and retain or decline any person(s) as a member of any tour. All tours are based on 10 paying passengers. We reserve the right to cancel any tour 30 days or more prior to departure. All deposits will be refunded to you. I or We, the undersigned, have read carefully and understand the terms and conditions pertaining to the above stated tour and agree these conditions. All information will remain confidential. Our Japan Tour Report Blog!! Thank you for your deposit payment!